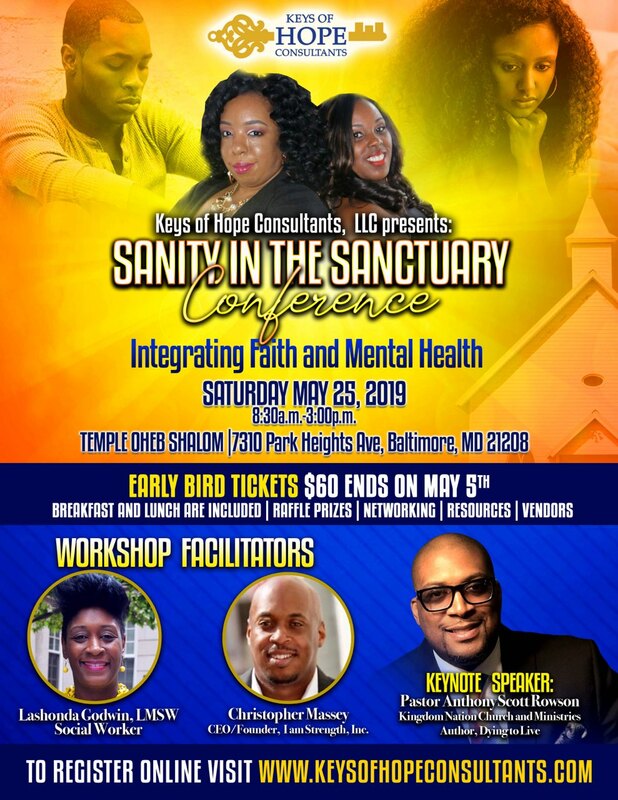 The Sanity in the Sanctuary Conference is a full day conference that will address the important role of the church in supporting people with mental health challenges and will offer practical solutions that can be implemented to support members, staff and families as it relates to mental health and wellness. The full day conference will provide attendees with the opportunity to learn and gain information that will improve their knowledge and ability to support others with mental health challenges. There conference entails workshops, an open panel discussion with guest panelist, a keynote speaker, networking opportunities and much more!